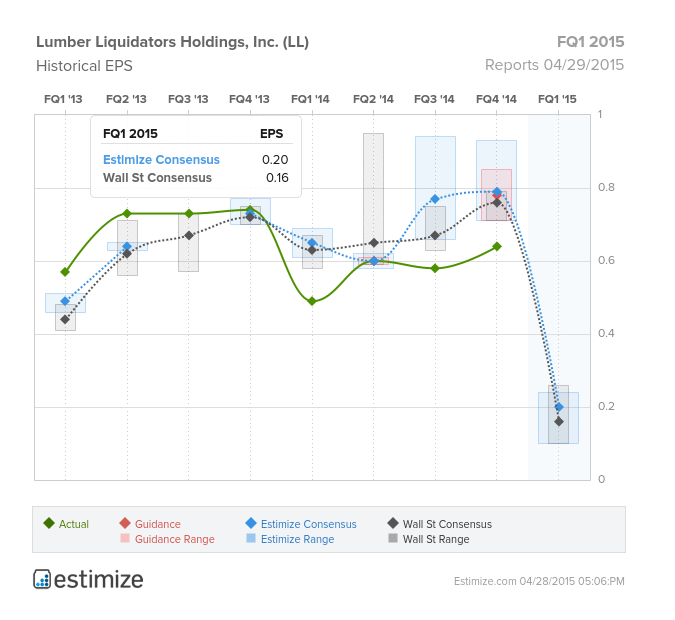 Lumber Liquidators: What's The Market Expect? Lumber Liquidators Holdings Inc (NYSE: LL) is scheduled to report its first quarter financial results on Wednesday, before the bell, and the company is expected to deliver a marked decline in earnings. According to Estimize, the Street expects EPS of $0.16 on revenue of $260 million, while the crowd projects consensus EPS of $0.20 on revenue of $255.24 million. These results would mark a steep decline from the EPS of $0.49 reported in the same quarter last year, and from last quarter’s $0.64. 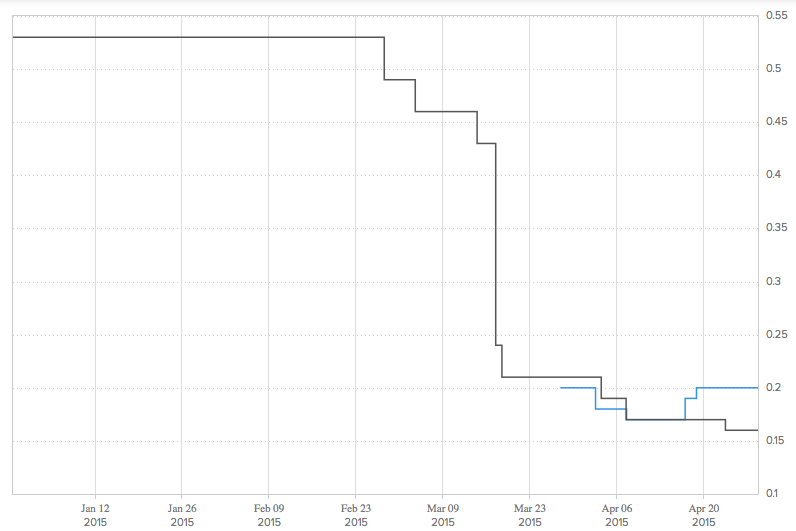 The graph below shows the company’s history of estimates versus actual earnings. The second graph illustrates how estimates have changed over time. Wall Street estimates fell abruptly following the much-discussed "60 Minutes" report. 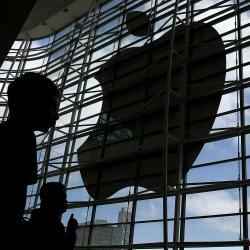 The crowd, for its part, weighed in just recently, but expects low earnings as well. In a recent report, analysts at Cantor Fitzgerald initiated coverage of Lumber Liquidators with a Buy rating and a $45 price target. According to the firm, the 50 percent decline in the stock price has created "an opportunity to invest in a differentiated, growth-driven business model at an attractive valuation." Piper Jaffray also sees Lumber Liquidators recovering slowly. However, “a shift away from relatively high-margin laminated flooring may hurt profits," an analyst at the firm said. Should Amgen's T-Vec Results Be Questioned?